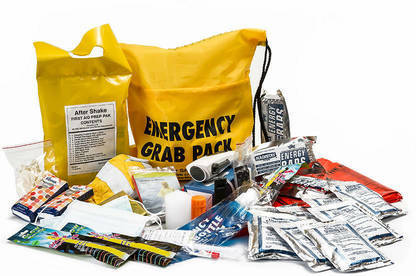 Should you buy an emergency survival kit or pack your own? We've tested 6 pre-packed kits but think our DIY one is better. See what's in it. Unsurprisingly for a country that’s endured more than its share of natural disasters of the past decade, New Zealand is now host to several companies offering ready-made emergency solutions. 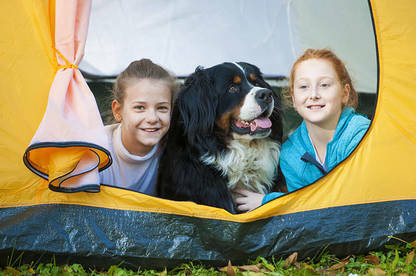 Google “emergency-kits” and you’ll find outfits offering everything from huge heavy-duty kits geared towards months of survival, through to custom-made emergency bags for your pet. When you look at our rates of emergency-preparedness, it’s not hard to see why these companies have emerged. In 2014, Stats NZ found just 22% of New Zealanders had food and water for 3 days, and a household emergency plan. 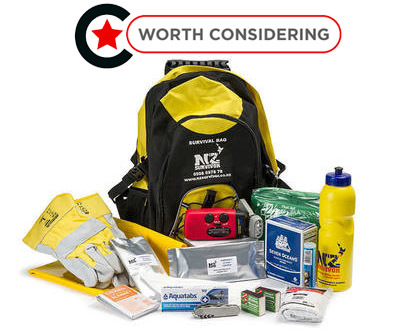 An earlier survey taken just after the Christchurch earthquakes found even fewer had an emergency kit including a torch, radio and first-aid gear. Quakes may be our most high-profile and costly disaster, but floods are the most frequent. And, according to a report last year by the Royal Society of New Zealand on the implications of climate change, events like the 2017 Edgecumbe flood are likely to become much more common. The upshot is you need to be prepared to survive for a few days at home when the lights go out and the water stops running. It’s also crucial to have a grab bag for when you need to cut and run quickly. We spoke to experts to find what you need when disaster strikes. We also tested off-the-shelf survival kits to see if they really will see you through. Our assessment included grab bags (also known as getaway kits), designed to support 1 person for 72 hours, from most of the major suppliers: After Shake, Grab&Go, LIFEPAC, NZ Survivor, Prepare.co.nz and Survive-it. Our main finding was you’re better off building your own getaway kit. All commercial kits either lacked key items or performed poorly in our tests. The exercise of putting together your own survival gear offers better value for money. It’s also a great spur for you and your family to discuss what to do in an emergency. 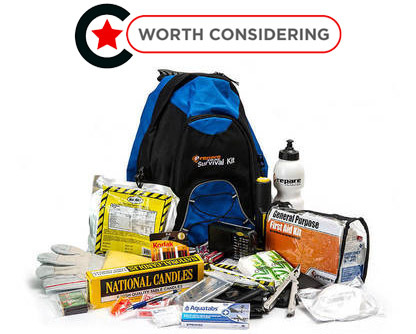 If you’re set on a pre-made kit, there are a couple worth considering — the Prepare.co.nz Survival Kit and the NZ Survivor 1 Person 3 Day Pack — though we recommend adding more items. In general, our testing showed radios and torches powered by disposable batteries were a better option than their wind-up counterparts. We also found a minute of winding only gave about 5 to 10 minutes of radio-life, or 30 minutes for the torches. Wind-up torches were significantly less bright, even when fully charged, than those powered by disposable batteries. Modern battery-powered AM/FM radios and LED torches run for several hours off cheap disposable alkaline or lithium AAAs, which hold their charge in storage for more than 5 years. In contrast, many wind-up torches use NiMH batteries, which can lose up to 30% of their charge each month in storage. One exception is the wind-up torch/radio offered by NZ Survivor, which uses batteries that hold their charge better than others, and features USB and solar charging in addition to the crank lever. At least 3 days of water (9L for each person). You can use old fizzy drink and juice bottles, but milk bottles are a no-go as residual bacteria can infect the water. If you're storing tap water from a mains supply treated with chlorine, you don't normally need to add anything to the water. Don’t use household bleach containing fragrances or detergents, for example Janola, to treat the water. Long-lasting food that doesn’t need cooking, at least enough to sustain each member of the household for 72 hours. Also include food for babies and pets. Toilet paper and large plastic buckets to fashion an emergency toilet. Dust masks and work gloves. MCDEM public education adviser Bridget Cheesman says individual emergency preparedness doesn’t need to be a big undertaking. “The most important thing is having a conversation and making a basic plan with your family. This just means sitting around the table one night and jotting down a few quick points covering where you’ll meet if you can’t get home, what you’ll need, where you’ll go, who can help you and who might need your help,” she says. “You don’t have to have all your supplies in one place, but you might need to find them in a hurry and/or in the dark. “Having some supplies in a backpack that anyone in your household can grab on their way out, if you have to leave in a hurry, is a good idea.” Mrs Cheesman says most people will already have some basic survival items at home. Check out the Ministry of Civil Defence and Emergency Management's site for more information. We were able to construct a kit of decent quality for $150, significantly less than many of the commercial kits. It’s likely you can build a comparable kit for even less than this, as many of us already have spare backpacks, torches, radios and drink bottles. 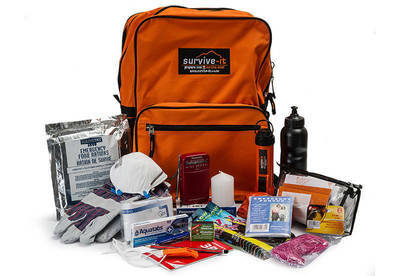 Find out which 17 items we'd put in our survival grab bag. If you're still keen on buying a pre-made kit, here's an analysis of each of the ones we tested. See our table below to compare the kits' contents. BOTTOM LINE: If you’re set on a pre-made getaway kit, this is 1 of only 2 we think are worth considering. But you’ll need to add more hygiene items and tailor it to your needs by adding cash, important documents, sturdy shoes etc. The most comprehensive kit on test, it contains everything our assessment requires apart from some hygiene items. Battery-powered radio performs well and is easy to use. Battery-powered torch is very bright and showerproof. Backpack is showerproof, durable and has a good amount of spare volume and extra compartments for adding personal effects. Contains a checklist showing other items you may want to add. Good value for money (comparatively). While reasonably nutritious, the Mayday 3600 rations were the least popular with our tasting panel, though you’d be glad to have them in a pinch. Pack is comparatively heavy at 3.8kg. BOTTOM LINE: A comprehensive kit with good quality items, though the most expensive on test. Dynamo (wind-up) torch/radio is the best we’ve seen and its USB charging makes it much easier to keep charged, which we’d recommend doing every 6 months or so. Comprehensive kit including most essential items for a getaway bag. Includes good first aid kit. Includes food rations (Seven Oceans), which contain a good range of nutrients. Backpack is mostly showerproof with a good range of pockets and compartments. It has space for additional items. Lightweight compared to similar kits. Combined wind-up torch/radio with USB and solar charging, making it easier to keep unit charged. It can also charge your smartphone. It has the brightest torch and best radio of any wind-up models we’ve seen. Rations the second least favourite of our panel, with an average taste rating of 5/10. Torch runs for 15 minutes off a minute of winding, but the radio only runs for 4 minutes (the torch and radio will run for several hours off a USB charge). The most expensive 1-person getaway kit in our roundup. While it includes EZ-towels, which expand when wet, we'd like to see more hygiene gear. BOTTOM LINE: An OK kit overall but let down slightly by its drawstring swim bag which lacks compartments and will be less comfortable to carry on a long walk home than a backpack. Combined dynamo/torch radio is also of dubious quality. Comprehensive kit with all basic items recommended for a 72-hour getaway kit. The best range of hygiene gear of any kit in our assessment: includes toothbrush, hand sanitiser, soap and tissues. Reasonable value for money when compared against the cost of buying similar items individually. Includes food rations (3x Mainstay 1200 bars) which have a good range of nutrients. Our panel thought they tasted OK, especially when compared to other brands of ration. Drawstring bag (similar to swim bag) is showerproof. 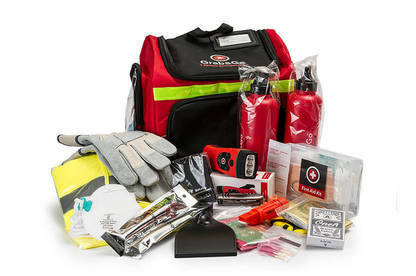 Includes comprehensive first-aid kit with good quality items. Water purification tablets are each designed to purify 25L of water, despite the kit's drink bottle having a capacity of less than 500mls. Very little extra space in bag for additional items (e.g. sturdy shoes, warm clothes, medication), and no extra compartments in drawstring-type swim bag. The bag is also less comfortable to wear than a backpack. Includes a wind-up (dynamo) combined torch/radio, rather than 2 separate disposable battery-powered torch and radios as is our preference. Compared to a battery-powered torch, the LEDs on the torch/radio were far less bright, producing only 20 lux at 1m. Its radio lacks a tune light or scan function and can therefore be difficult to tune, especially in a stressful situation. Its noise and clarity are OK, but it only runs for 12 minutes off 1 minute's winding. That said, it does have a USB charging feature. BOTTOM LINE: If you’re looking for a very compact, lightweight kit for the car or office Lifepac’s offering might be worth a look, but the lack of space for any additional items is an issue, as is the absence of a drink bottle. Reasonably comprehensive kit containing items that are mostly of a good quality. Includes wet wipes and tissues for hygiene. Lightweight, compact pack that's very water-resistant. Rations the favourite of our tasting panel. Includes water rations (9x125ml sachets). Battery-powered radio returned OK performance and is OK to tune. Contains a dynamo (squeeze) torch with a flimsy build quality rather than a battery-powered model, though it has OK brightness for a dynamo model. No spare batteries for radio. Only kit in our assessment not to contain a drink bottle or water container. Ration pack contains only six 400 calorie (1674 kJ) bars for 3 days, compared to the standard nine 400calorie bars in other kits. No extra space in bag for additional items. BOTTOM LINE: An OK kit let down by a low-quality non-showerproof bag and a complete lack of hygiene items. That said, it does include a very good battery-powered torch and radio, and good rations. Reasonably comprehensive kit with good quality items. Very good battery-powered torch, showerproof and very bright. Easy to tune and good sound quality/volume. Includes emergency food rations (Mainstay 3600), which taste OK and include a good range of nutrients. Lots of spare room in backpack for additional items. Has comprehensive first-aid kit with good quality items. Backpack not showerproof (though items come in waterproof ziplock bags). No hygiene gear included; missing hand sanitiser, soap, toilet paper, wet wipes or toothbrush/paste. No checklist showing other items that need to be added. BOTTOM LINE: An OK kit offering good value for money and worth a look as an extra kit for the office or car. But you’ll need to add your own rations and hygiene items (e.g. tissues, wet wipes and soap). Very good value for money at $85 when compared to the cost of buying the items individually, though not enough to compensate for the equipment it lacks. Cool-bag type backpack is showerproof. Checklist makes clear what the kit contains and what it's missing. First-aid kit is comprehensive and contains good quality items. Contains a combined wind-up torch/radio, rather than separate battery-powered units as is our preference. Torch is significantly less bright than battery-powered models. Radio only has FM and doesn’t have manual tuning (only scan), which could make it very hard to tune in more remote areas. Radio only lasts 5 minutes off 1 minute’s winding when battery dead-flat. Small pack with little extra room for large items like sturdy shoes. This report is free thanks to funding from the Ministry of Civil Defence and Emergency Management..
After putting together the ideal survival kit, writer George Block took it out to an island for 72 hours to make sure it was up to the task. He sent back a series of videos to let us know how he was getting on. Do food rations taste any good? 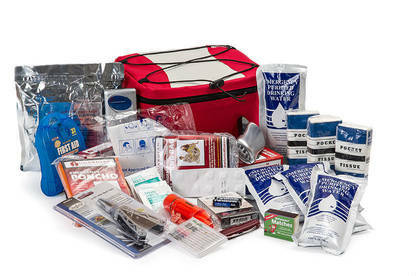 We think the Mainstay food rations are the best option for your emergency kit. Five of the 7 kits in our assessment contained emergency food rations. Most packs contain 9 bars/blocks designed to sustain you for 3 days. Essentially, they’re vitamin/mineral supplements held together by flour, corn starch and sugar for energy. They generally resemble dense, grainy shortbread, but often taste surprisingly sweet as they’re designed to not make you thirsty. Three bars supply the approximate recommended daily intake of several nutrients for an adult. However, they’re primarily designed for if you’re sheltering-in-place, rather than expending a great deal of energy. Most rations only supply 5022kJ (1200 calories) per day. In contrast, the Ministry of Health says a moderately active 30-year-old male of average height and weight requires 11,800 kJ daily, while the equivalent woman should consume 8800kJ. These rations are compact, lightweight, and last for 5 years. They’re also fairly cheap, costing about $20 for a 3-day supply. But what would it be like to live off these beige nutrient bars for 3 days? We convened a tasting panel of Consumer NZ staff to sample 4 brands of survival ration. Generally, our panel found them palatable, and agreed they’d do the trick in a pinch. The winner in terms of taste is the SOS Survival Food Pack, from Lifepac’s survival kit and available for $19 from lifepac.co.nz. Panellists described these rations as “sweet and kind of citrusy” with a texture “like that of a baked slice”. However, this pack only contains 6 bars for 3 days, equivalent to just 3348kJ per day. 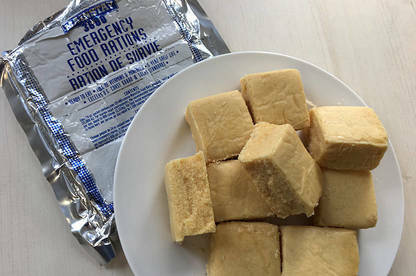 The next favourite is the Mainstay 3600 Emergency Food Rations, contained in the Survive-it and After Shake packs and available from survive-it.co.nz for $20 for 3 days’ worth. It supplies the standard 5022kJ per day, as do the other 2 ration brands in our assessment. Our tasters all found the texture of the Mainstay blocks a little crumbly and grainy, but it tasted comparatively pleasant and reminiscent of lemon shortbread. 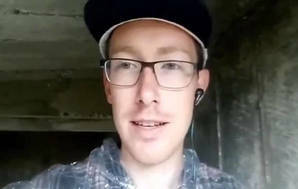 NZ Survivor’s Seven Oceans rations failed to impress, described variously as “bland” and “dry like sawdust”. The Mayday 3600 bars from prepare.co.nz took the wooden spoon – our panellists found them hard, dense and dry. While the Mainstay rations came up second in our taste test, we think since they contain more calories and the sufficient range of vitamins and minerals, they’re your best choice to stow in your kit. Red Cross international and national emergency management officer Andrew McKie has been involved in emergency management for more than 2 decades. 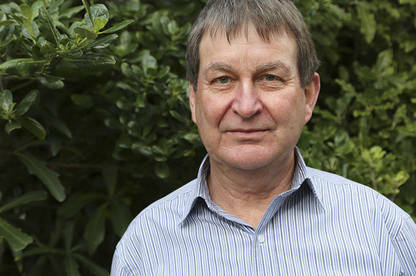 In that time, he’s managed recovery efforts for some of the world’s worst natural disasters, including the 2004 Tsunami in Aceh and the 2005 Kashmir earthquake. We asked what he keeps in his emergency kits. Mr McKie keeps getaway kits in his office, home and car. As he lives up a hill, where there’s no tsunami or flood risk, and his home is only a few kilometres from work, he’s designed his kits with that in mind. He suggests adding more food to your kit if you anticipate being stuck at work or away from home for longer periods. His kits include the standard gear recommended by MCDEM, but also feature energy-dense, lightweight snacks such as beef jerky and chocolate. He also includes thick work gloves, in case he needs to handle rubble or clamber over rocks, along with face masks, as collapsed buildings generate huge amounts of noxious dust. His getaway kits include a charged-up powerbank for his mobile phone, as he says he’d use the built-in radio and torch in his phone in the event of a disaster. Note, some phones, namely iPhones, lack an FM tuner. He urges keeping a roll of duct tape in your grab kit as “it can be used to repair backpacks, shoes, jackets, everything”. Despite experiencing some fairly dire emergencies, Andrew hasn’t built a panic room and doesn’t keep years’ worth of supplies at home. He keeps a 250L tank of water in reserve, along with a few weeks’ worth of canned food that he can cook using his gas barbecue (he also keeps a full LPG cylinder spare). He’s organised street-wide meetings to take inventory of who has what, (for example, gas barbecues or large tents). If you’re a pet owner, chuck 3 days’ pet food into your emergency kit. This will save you from having to share your own survival rations. Dog owners should also pack an extra collar and leash. Toys for keeping your pet occupied are also a good idea. For your kids, include a set of playing cards or some of their favourite games. These will lift morale if your family has a few hours to kill. While survival rations might be acceptable to adults, it’s a good idea to pack some snacks your kids won’t take much convincing to wolf down. And if you’ve got infants remember to grab a few extra jars of baby food next time you’re at the supermarket. A good pre-made getaway kit must have everything you need to get through 72 hours in reasonable safety and comfort, and its contents should be of decent quality. Note that relying on a getaway bag for 72 hours is an extreme scenario. In most cases, your getaway kit will just need to get you form where you are when disaster strikes to where you need to go. With those factors in minds, we developed the following assessment. At a minimum, we think the ideal ready-made getaway kit should contain everything from the MCDEM recommended supplies list plus a rain poncho, thick gloves, dust mask, additional hygiene items (tissues, wet wipes toothbrush/paste and soap) and water purification tablets. We also think it should include a plastic (polyethylene) survival bag in lieu of a foil space blanket, as they’re more durable and double as a groundsheet and makeshift tarp. Rations aren’t essential, but if the kit doesn’t include food it should have a checklist showing the food that needs to be added (along with any other missing items). The bag should also have room for these extra items. Kits receive a low “comprehensiveness” score if they omit any of our essential items. Quality (40% of overall score). Radio: ease of tuning, reception, sound quality and volume. For wind-up (dynamo) models, how long does the radio run after 1 minute of tuning? Torch: brightness (lux), build quality and water-resistance, runtime for wind-up models. Food rations: taste (according to our panel) and nutritional value. Bag: water-resistance, durability, volume, weight, comfort. Is it well-organised, and is there space for extra items, such as warm clothing and shoes? General quality of other items: if any other contents are of poor quality. For example, if the drink bottle leaks then points are deducted from the quality score. We estimated the cost of all the items in the kit then compared the total to the kits’ retail price. A low score indicates you could put a similar kit together yourself for significantly less than the RRP. Go behind the scenes of some portions of our test.